The uvea refers to the center section of the eye made up of the iris, ciliary body and the choroid. 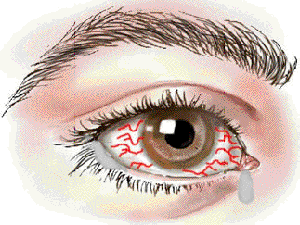 chemicals coming in contact with the eye or direct trauma to the eye. which may ultimately result in vision loss. a day for at least 10 minutes. after a viral or bacterial infection has occurred such as with tuberculosis or cytomegalovirus (CMV) infection. years. Severe cases can cause permanent vision loss.